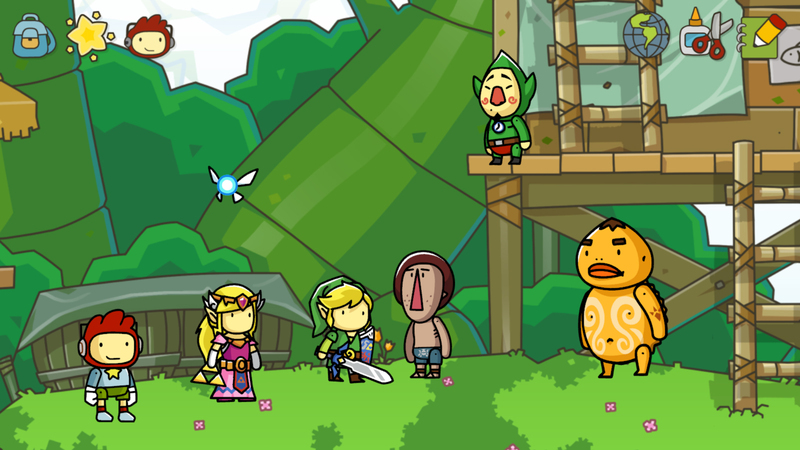 5TH Cell has revealed two new trailers for their recently released drawing bonanza Scribblenauts Unlimited, featuring the Wii U's exclusive themed Mario and Zelda bonus DLC. Players on the new Nintendo console will get access to dozens of items from both franchises, including favourites Mario and Link via the eShop. 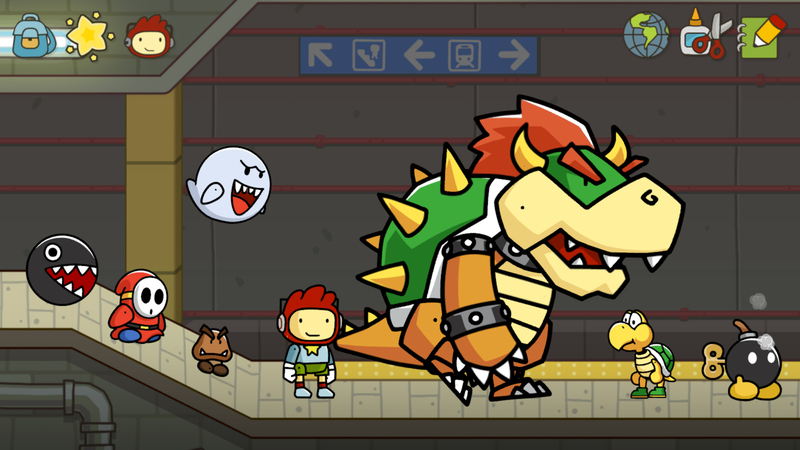 The highly anticipated Scribblenauts Unlimited game now features even more than ever before, with Nintendo themed bonus content. Players can summon dozens of their favourite characters and items from the Mario and Legend of Zelda franchises exclusively in the Wii U version of the game. Scribblenauts Unlimited expands upon the best-selling, award-winning video game franchise that challenges players to imagine anything and bring it to life in the game. This latest Scribblenauts installment will feature a huge side-scrolling open world with new, high-definition hand-drawn scenery and objects where players can help Maxwell solve robust puzzles and challenges by creating any object they can imagine. Accompanying the trailers are some new screenshots featuring the Zelda and Mario franchise, which you can check out below or the full set at our game page. Buy now from Green Man Gaming Only GBP£14.99! So is this stuff already in the game? Or is it DLC from the store? I have this on Wii U and haven't seen any of this stuff.